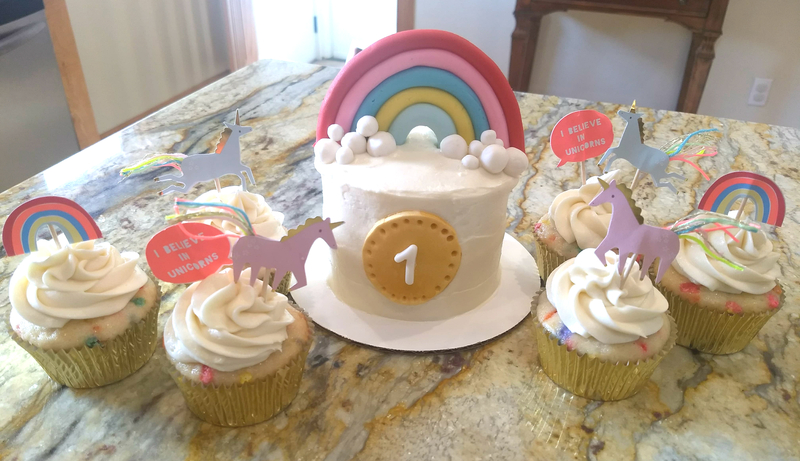 This was the cutest first birthday theme! Rainbows & Unicorns! It was a vanilla sprinkle cake & cupcakes with vanilla buttercream. Yum!